Students have an important vote in the sustainability policy pursued by TU/e. Two student representatives have seats on the Sustainability Steering Committee. Moreover, within their studies students regularly organize lectures and symposiums about green themes. TU/e has a number of automotive student teams that are involved with the development of innovative electric vehicles. These teams develop vehicles that are pioneers in sustainable energy consumption. Are you a student and interested in collaborating on the car of the future? Check out the sites and apply for a position in one of the teams! Team Energy is an open platform for TU/e students with an interest in energy issues. 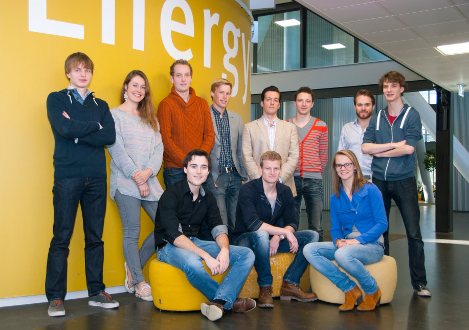 Team Energy is involved with the EnergyDays and organizes the Energy Café.